On 21st January 2015 Former President H.E. 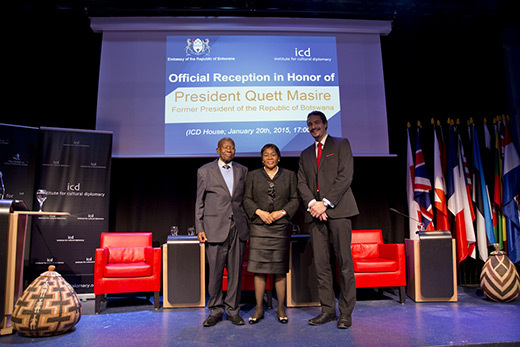 Sir Quett Ketumile Joni Masire addresses an audience of more than 150 people, including African Ambassadors, academicians and researchers at the Institute of Cultural Diplomacy. The event whose objective was to profile Botswana culture as a way of attracting tourists was organised by the Embassy of the Republic of Botswana in conjunction with the Institute.